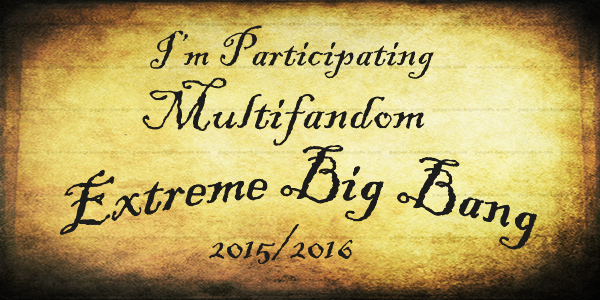 So I signed up for the Extreme Big Bang which I am hoping to write a 100k story crossing over Torchwood/Jurassic World/Merlin focusing on the pairings Jack/Ianto, Owen Grady/Lex Murphy and Barry/Morgana (Zara) or Gwaine/Morgana (Zara). Wish me luck. I think Owen/Lex could be a very interesting pairing. So far the muse is playing with the idea of Lex being in charge of Jurassic World and doing everything in her power to ensure the park is safe and what she went through never happens again. It's not going to be an easy job since the investors and board members believe that scary sells and goes behind her back to create the Indominus Rex. I thought it would be a challenge to rewrite the movie with someone who has lived through it before in charge. I think that is the one thing I disliked about Jurassic World the lack of any characters from the first three movies I would have loved to see their reactions to the new park. I will admit I haven't read very many Jurassic World fics, I'm not a fan of Owen/Claire I'm mainly stuck to Owen and the raptor pack stories, I did find an Owen/Darcy Lewis that is pretty amazing story.